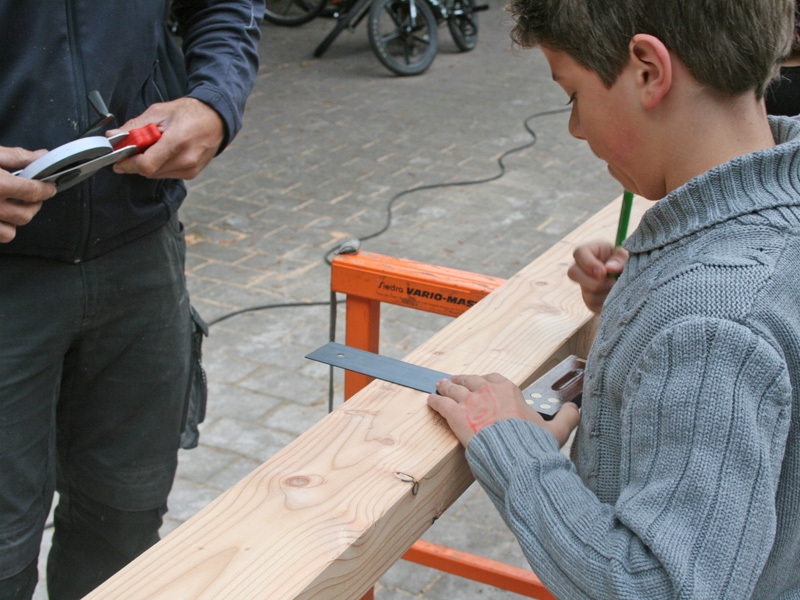 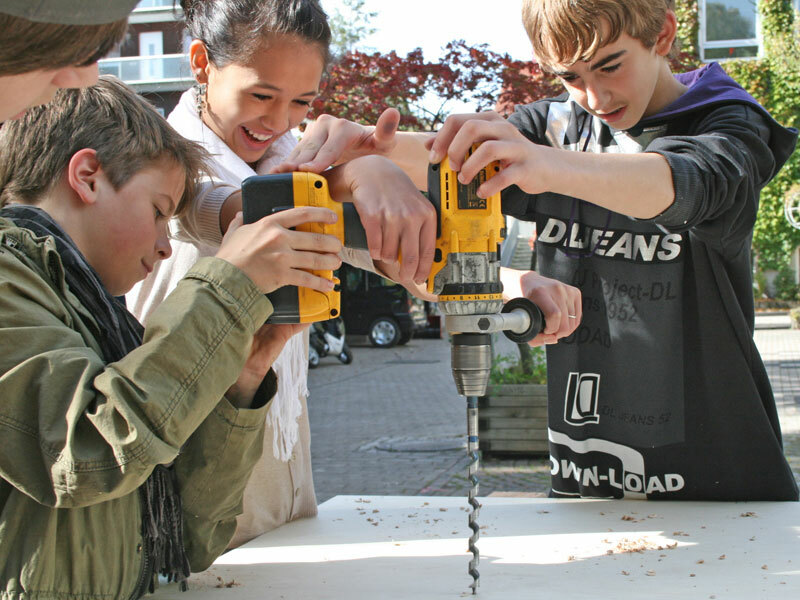 In the course of a project week the Wittelsbacher School in Kempten made available a roofed-section of the bike shed so that the young people there could build a Boulder Wall. 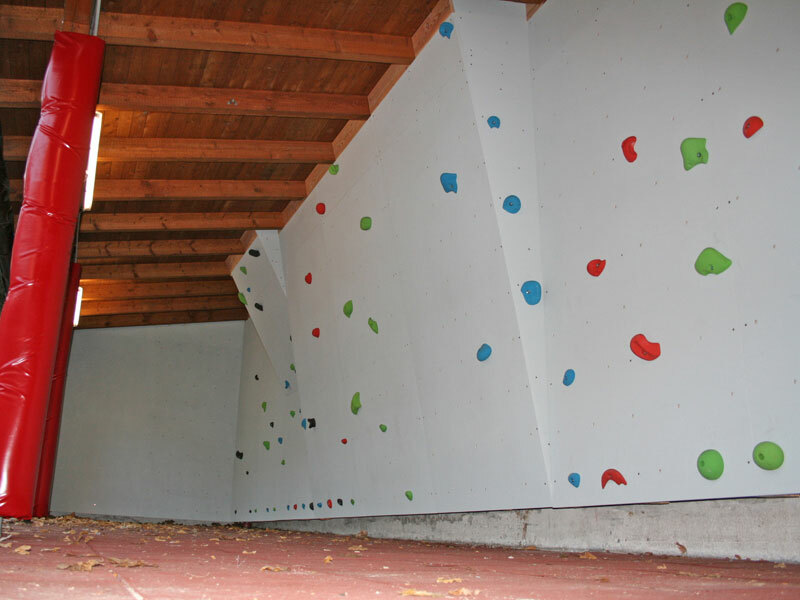 With the help of the hochkant GmbH construction team and their technical instruction, within two days a Boulder Wall and climbing wall access were completed. 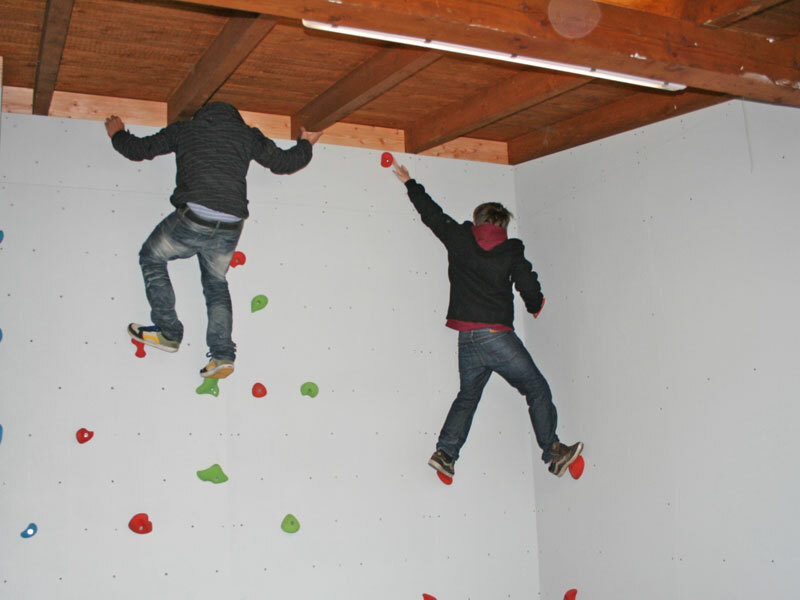 A team of students is responsible for the care of the wall and the regular replacement of the climbing grips.